Our Crushing On series highlights Seattle designers, tastemakers, and off-the-beaten-path boutique owners to ask what chic coiffures, budding blogs, and local eateries are making them tick right now. Kaleb Norman James first fell in love with wedding design at age 13 while helping out on his sister’s big day. Those nuptials led him to a gig carrying boxes for a friend’s event company (more grunt labor than glam, to be sure), and eventually into his own successful couture floral and event design biz. 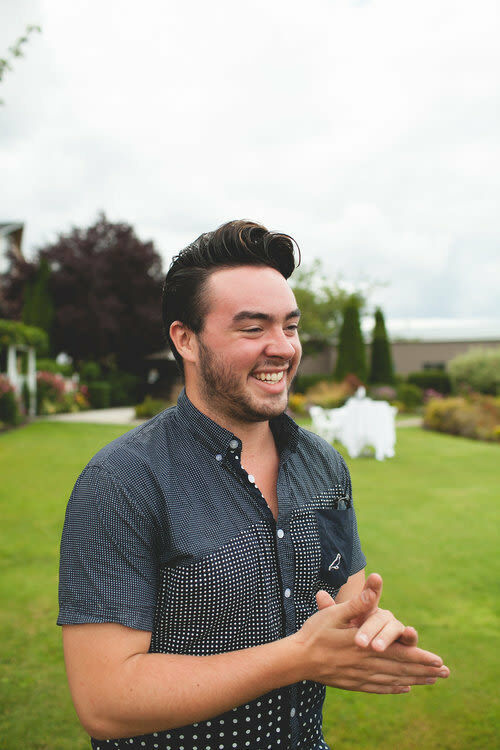 With experience as a visual stylist for Nordstrom and a certification from the FlowerSchool New York under his belt, he is now an industry influencer with a hefty Pinterest following and a stunning portfolio. Best Instagram feed? Jose Villa. His weddings are daily inspiration for me, and his work is flawless. What item of clothing or accessory has been in heavy rotation this month? My Louis Vuitton keepall 65 goes with me everywhere. It can hold everything I need for the day, but isn’t obnoxiously large. What item of clothing or accessory would you buy right now if you could? Low-top white Common Projects sneakers—they are the perfect all-white shoe for spring. Where’s your next travel destination? A trip to South Africa and Australia is in the works for a post wedding-season hiatus. Cage diving with sharks may or may not have made the agenda. 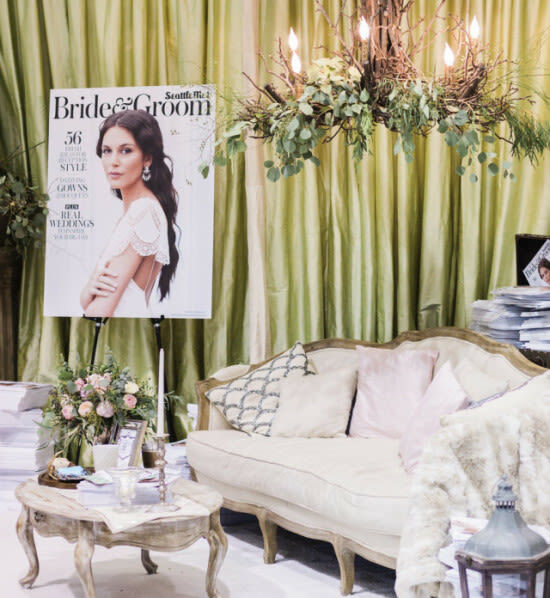 Image: Alante PhotographyKaleb Norman James assembled a stunning setup for the Seattle Met Bride and Groom booth at this year's Seattle Wedding Show in January.